MARGINS New Zealand Focus Site activity map showing instrument and profile line locations. 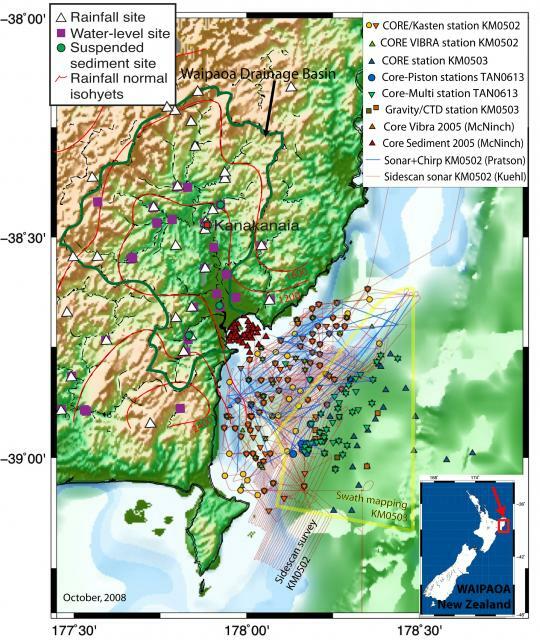 Sources: Land Data from Hicks, 2003 (MARGINS Waipoa Workshop, Gisborne, New Zealand, 2003) and MARGINS New Zealand focus area website; Off-shore data from MARGINS Data Portal. Hydrographic Soundings not shown.